Noam Sohlberg was born in Israel in 1962. He earned his LL.B. degree from the Hebrew University in Jerusalem in 1990. After completing a two-year internship in the civil law department of the State Attorney’s office, the Supreme Court, and the Attorney General, he served as legal assistant to Attorney General Joseph Harish. From 1993 to 1994, he served as a prosecutor in the State Attorney’s office and, from 1994 to 1998, worked as the senior legal assistant to Attorney General, Michael Ben-Yair, and then to Attorney General Elyakim Rubinstein. From 1996 to 1999, he was a Lecturer at the Bar Ilan University Faculty of Law, and in 1998, he began serving as Judge of the Jerusalem Magistrates Court. In 1998, he also earned his LL.M. degree from the Hebrew University in Jerusalem, receiving the Yitzchak Drori Award for Excellency. 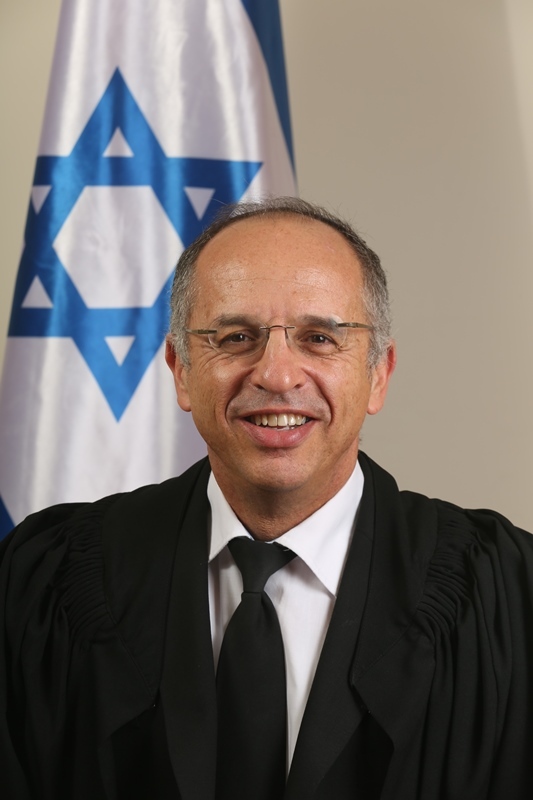 In September 2005, he was appointed Judge of the Jerusalem District Court and, in February 2012, he was appointed Justice of the Supreme Court of Israel. His publications include Libel and Praise: A Selection of Court Rulings (Yedioth Books, 2014).